The neck, chest, shoulders and torso are dead giveaways to your age. 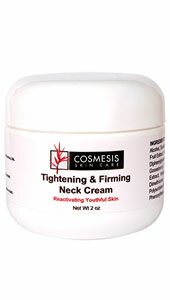 Cosmesis Skin Care Tightening and Firming Neck Cream can help to firm and smooth sagging and wrinkled skin. 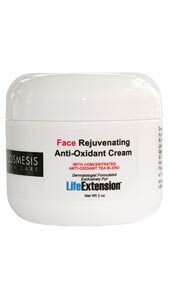 Its proprietary formula contains ingredients to help restore youthful skin. If you’re not targeting the thin skin of your neck area, then you’re overlooking one of the most obvious signs of aging. Your neck and upper chest/shoulder/torso area is a dead giveaway of your age because its thin skin is especially prone to sagging and wrinkles. Advances in research have led to the discovery of compounds that offer a novel approach to supporting the delicate skin of your neck and décolleté. Scientists have discovered that these compounds act as key regulators of the biochemical environment within the dermal layers of the skin.1-7 This facilitates the communication necessary to protect, repair, and strengthen your skin from the inside out. Together, these five ingredients provide you with ultimate support for the delicate skin of the neck to help defend against the visible signs of aging. 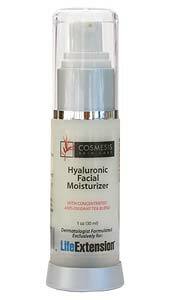 Ingredients: Purified Water (Aqua), Cetearyl Alcohol, Squalane, Lycium barbarum (Goji Berry) Fruit Extract, Hexapeptide-10, Acetyl Dipeptide-13 Diphenylglycine, Emblica officinalis (Indian Gooseberry), Bellis perennis (Daisy) Flower Extract, Hyaluronic Acid, Cyclopentasiloxane, Dimethicone, Isopropyl Myristate, Glycerin, Polysorbate 60, Concentrated Tea Blend Extract, Phenoxyethanol, Ethylhexylglycerin. Apply a liberal amount of cream to the neck and décoletté twice daily. Caution: Keep out of reach of children. For external use only. Avoid contact with eyes. If product contacts eyes, rinse thoroughly with water. 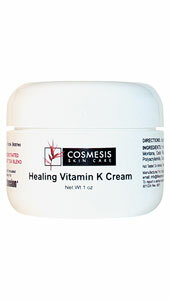 If rash or irritation occurs, please discontinue use. Not tested on animals. 3. J Ethnopharmacol. 2007 May 22;111(3):504-11. 4. Phytother Res. 2004 Dec;18(12):1008-12. 5. J Ethnopharmacol. 2010 Oct 28;132(1):109-14. 6. Am J Pathol. 2007 Nov;171(5):1451-61. 7. Wound Repair Regen. 1999 Mar-Apr;7(2):79-89.